charts and reports about the conversations that have taken place within Chime. 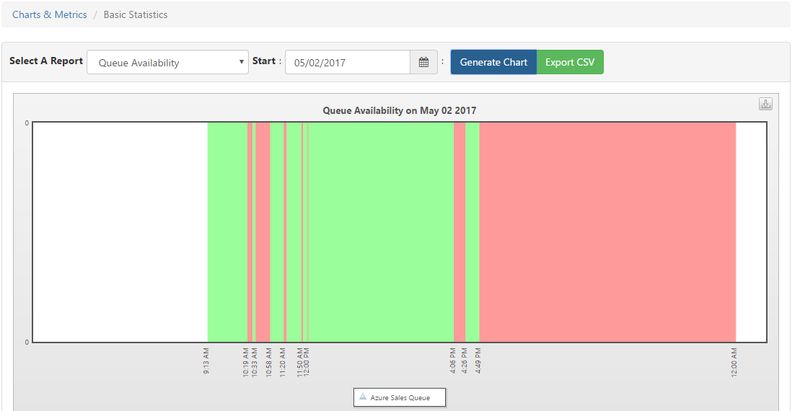 Both managers and admins have the ability to view system level and queue level charts and reports. 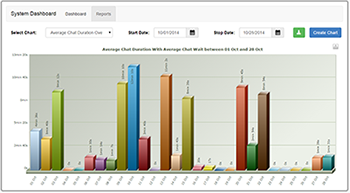 Managers can only view charts and reports for the queue or queues they are responsible for managing. 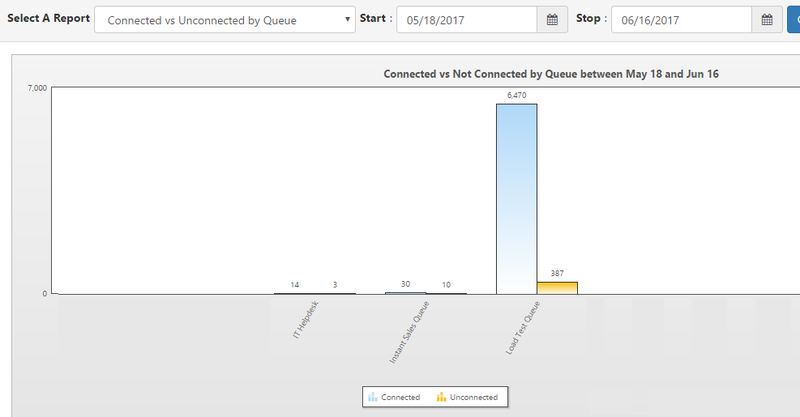 Admins can view charts and reports for any and all queues within the entire system. 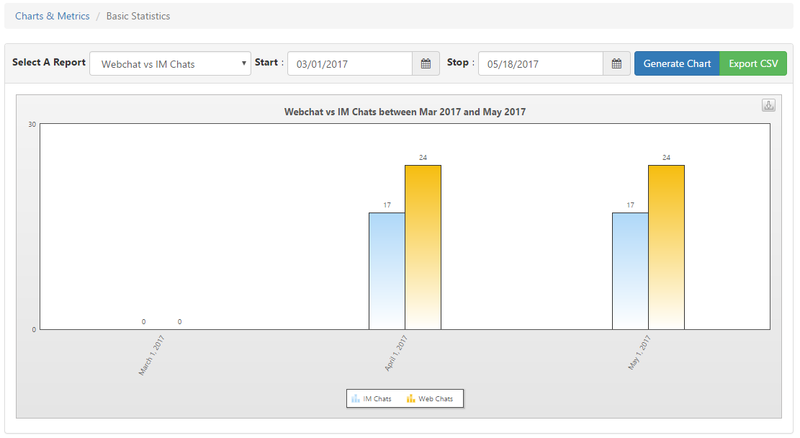 Dropped – Number of chat sessions where the guest closed the chat before being routed to an agent. 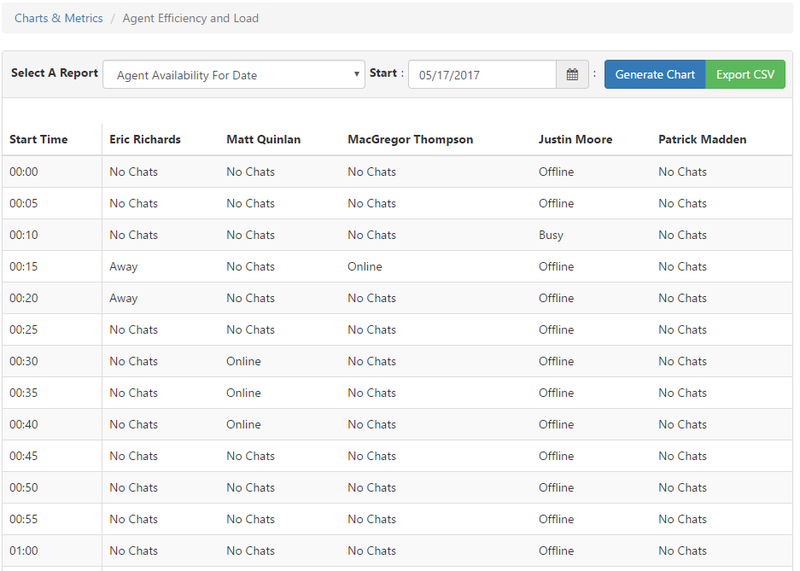 Timed Out – Number of chat sessions where the guest timed out in the queue without being routed to any agent. 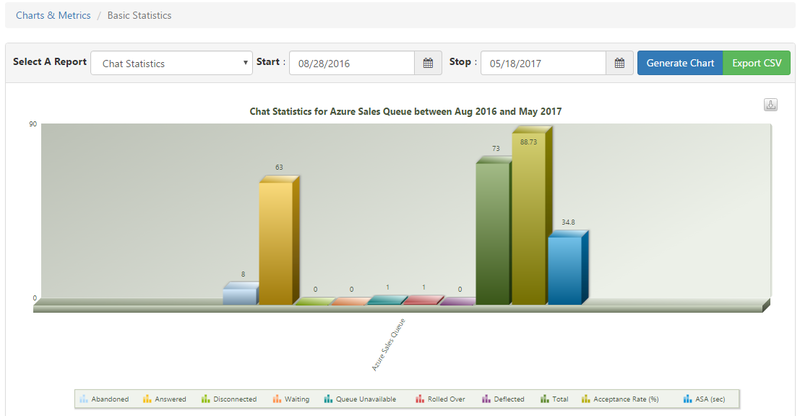 Answered – Number of chats where the guest was accepted and serviced by an agent. Disconnected – Number of chats that encountered a network or application error which interrupted them before they could be completed. Waiting – Number of chats that are currently waiting. 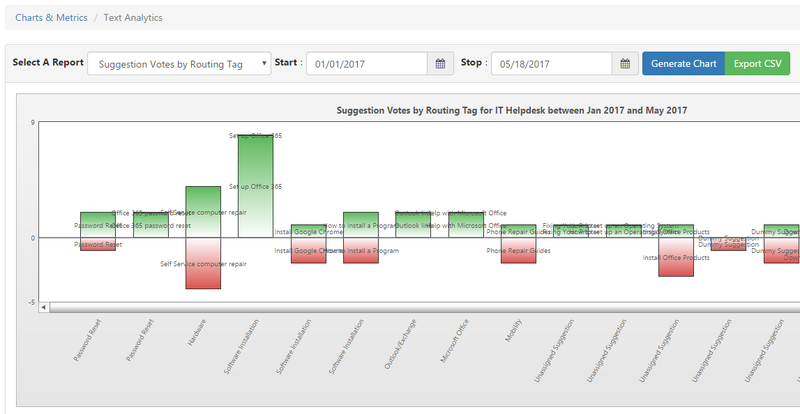 Rolled Over – If there is a roll-over queue configured, the number of chats that entered this queue, but were not serviced and instead rolled over to the other queue. Deflected – With the Virtual Agent extension functionality, we have the ability to turn guests away from the queue before they enter the routing to an agent stage. This would be the count of chat sessions that were thus deflected by a Virtual Agent. Total – Total number of chats. Acceptance Rate (%) – Percentage of chats that were Answered, vs Dropped or Timed Out. Chats that were Disconnected, Waiting, Queue Unavailable, Rolled Over, or Deflected don’t factor into this percentage.